If you haven't heard yet, we are preparing for the biggest event we've ever attempted to organize. We are SUPER excited for Stash Bash 2012! 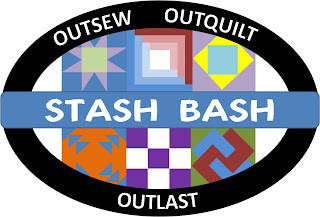 What is Stash Bash? It's an opportunity to clean up your stash and win prizes for doing so! Everyone will win if they reach their personal goals. The registration for Stash Bash also includes meals and snacks. The fee is $200 per person. A portion of the proceeds from the weekend will support the American Cancer Society. Register before April 1st to save $50!!!!! Blog readers: Share this event on your blog, Facebook, or Twitter. 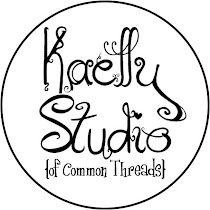 Comment below with where we can find your "share" (include a link) and you'll be in a drawing for a FREE ticket to Stash Bash!!! We will draw on March 15th. I haven't ever done a quilt retreat. I'd love to try it out with a free ticket. Hi Threads...I shared on my Facebook twice. Do I get 2 entries? We saw your "share" Gloria and you're in the drawing. Thanks! And don't forget to tell all your friends about it....the more people the more fun we're going to have. Hey ladies I would like to win this for my mommy. I hope I did it right. .
Amanda Schmidt shared a link. Good morning ladies. Thanks for this reminder about the BASH. Should a lot of fun. I would really like to give this ticket to a friend. Becki P.
I shared on facebook: http://www.facebook.com/profile.php?id=1069953658. Thanks for the giveaway! I really like your blog you are included all important information and provide the opportunity of largest retreat in Minnesota. please provide the more and more information about the quilt shop. I shared your link on my Facebook page, under Sandra (Knutson) Olson, Alexandria. I put your link for the stashbash on my face book page www.facebook.com/#1/profile.php?id=1064919811 today. Hope you have a great turn out!! I love stash bashes. 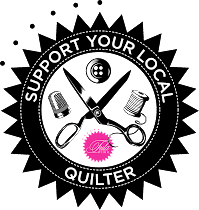 My longarm quilter came with me to FL this last Jan. and we spent a week finishing projects. I shared your link on my Facebook page.